Carver’s 38 Motor Yacht offers the comfort and privacy of two staterooms equipped with separate heads, a large salon with a step-down galley and a large dinette/lounge. The enclosed hardtop aft deck and large command bridge together provide ample space for above deck activities. And make no mistake; Carver built these boats to last. The solid fiberglass bottom and a solid fiberglass stringer system can be counted on for many more years of problem-free boating. 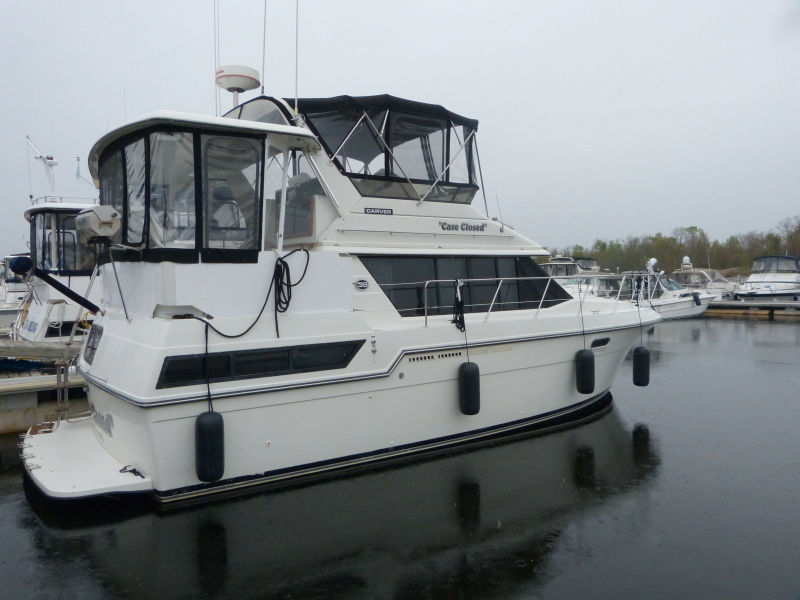 This Carver 38 Motor Yacht is in stunning condition overall. The bright, airy interior is tastefully done with upgraded upholstery and solid wood cabinetry. She is without doubt the nicest 38 Motor Yacht we’ve seen in 20-years of marine sales. This boat is a “must see” for anyone in the market for affordable double cabin comfort and solid Carver construction.